With the temperatures rising it is easy to see why kids want to play in water. But if there is not a pool in your area you may be able to offer some relief from the heat! A favorite of mine is the Tot Town Waterplay system. It is designed to be a two tier fountain that splashes down into four individual basins that are designed to look like flower petals. Another great thing about this fountain is that sand can be added into the individual basins for additional creative play! Another favorite of mine is the Boulder Creek. 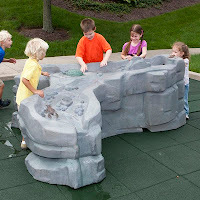 It is a unique water table that includes molded animals and rock shapes. A water hook up allows the water to flow through the top of the boulder and down so that kids can splash around and cool off. 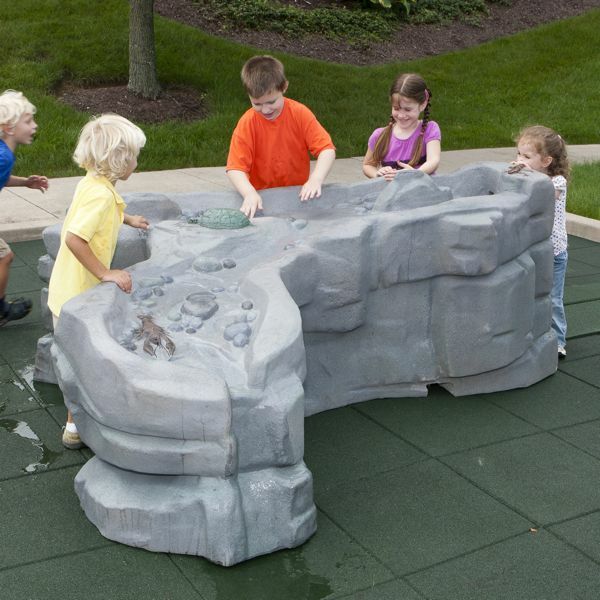 There are several choices you can make when it comes to adding a water element to your play area. 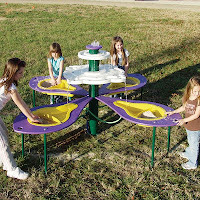 Not only are they great additions when it is hot out, but they offer up something different that you don't normally see in play areas.